We’re a group of local people, including representatives from the City of Sanctuary movement, Citizens Advice York, Explore York, York CVS (Centre for Voluntary Service), North Yorkshire Police, International Service, City of York Council, Friends of the Human Rights Defenders, Higher York and the Centre for Applied Human Rights at the University of York. But anyone can get involved and have their say. We’d love to hear from you on the issues you’re passionate about. Subscribe to our mailing list and please do not hesitate to contact us. York: Human Rights City is funded by the Joseph Rowntree Charitable Trust, New Earswick Quaker Meeting, and City of York Council. In the past we have received funding from the Joseph Rowntree Foundation and from the Economic and Social Research Council. The Centre for Applied Human Rights (CAHR) is an interdisciplinary research and teaching centre. It is a friendly community of scholars and visiting practitioners who have a shared focus on the real world challenges of putting human rights into practice and protecting human rights defenders at risk. A focus on human rights defending and defenders shapes all the Centre’s work. 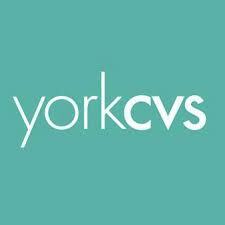 York CVS is a social action organisation. We take steps to make positive change, challenge issues and grow new ideas which strengthen communities. We are an international development charity protecting and promoting the rights of the most marginalised people in Latin America, West Africa, and the Middle East. This is usually (but not limited to) women, disabled people,children and young people, and people living with HIV/Aids. Citizens Advice York is working towards alleviating poverty, injustice and inequality, which exist within our local community. This is achieved through the development of an effective, accessible and quality service. Citizens Advice York is committed to creating an environment that offers equality of opportunity and access to all its clients, staff and volunteers. City of Sanctuary is a movement to build a culture of hospitality for people seeking sanctuary in the UK. The movement is intended to be from the ground upwards, not something imposed by Government or Local Authority. Therefore, support from individuals, local community groups, schools, universities, sporting organizations, voluntary and statutory bodies is not only welcome but essential. On 1st October 2016 York City of Sanctuary successful obtained national recognition. In May 2014 we became Explore York Libraries and Archives, a mutual benefit society with charitable status. The new company, more commonly known as Explore, is made up of the libraries and archives services which were previously part of City of York Council. It is owned by its community members and staff, and is managed by a Chief Executive and representative Board.